You're invited to the "Aurora Bright Dawn" Art Dedication! Come join ALUV and artist Vicki Scuri for the dedication of “Aurora Bright Dawn” on Saturday, April 27th! Aurora Bright Dawn was commissioned by the City of Seattle’s Arts & Culture as part of the Neighborhood Street Fund (NSF) program. The NSF program funds projects requested by the community and is helping achieve ALUV’s goal of building community together- A safe, pedestrian-friendly, inclusive urban village that works for everyone. Where: Oaktree Plaza Pedestrian Crossing Aurora Ave N at N 102nd St.
What you can do: Although completely voluntary and not necessary to attend, Vicki Scuri is asking neighbors who would like to participate to donate solar LED globes that change colors. This donation will help by not only bringing a splash of color and light but also a sense of building community together. Open Source Hackathon meetups provide an opportunity to work with others on Open Source Projects. There will be a variety of projects to work on, including some that do not require programming knowledge at all. All contributions, from code to graphic design and documentation are welcome. 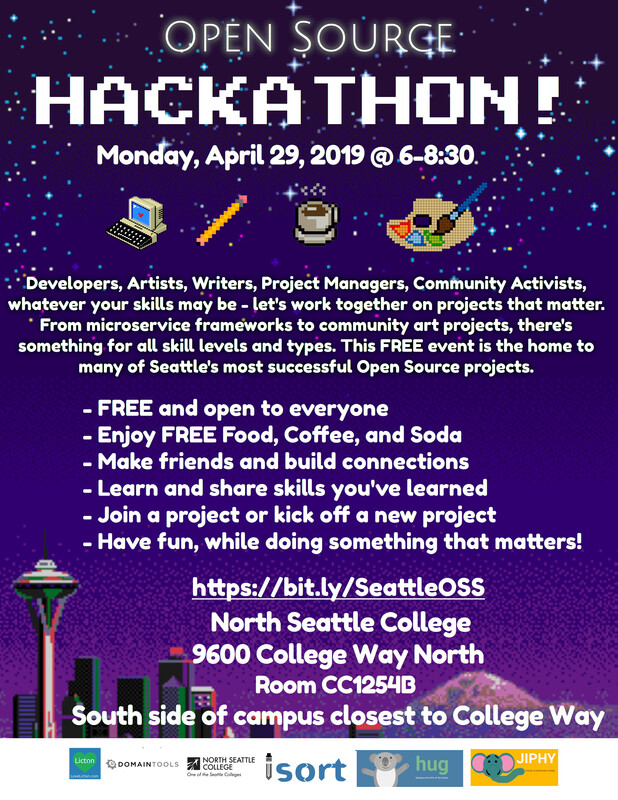 If you've always wanted to get involved in Open Source or work on projects with other developers in the community, this is a great way to start! Meet with other Linux users in the area. 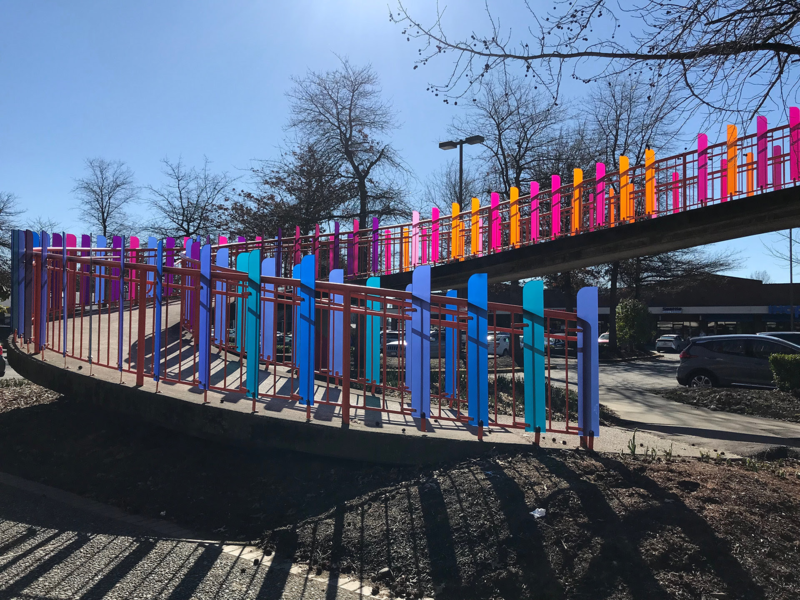 Wednesday, April 3rd, @ 7PM-8:30PM, SPD North Precinct Advisory Council, Cascadia Elementary School’s library, 1700 N 90th St.
Join ALUV and artist Vicki Scuri for the dedication of the art installation on the N 102nd pedestrian bridge. Through SDOT’s Neighborhood Street Fund Grant program, ALUV members were able secure funds and select an artist to bring color to Aurora Ave. This Saturday be part of a community effort to restore a forgotten neighborhood greenspace! 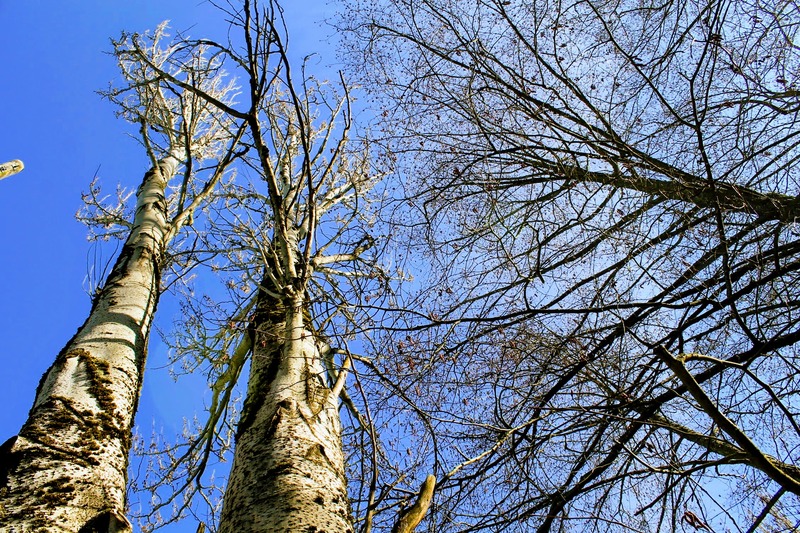 Trees for Seattle needs our help to continue their work with the community to reclaim our forgotten greenspace by spreading mulch and removing blackberry. The weather looks excellent for the event, but please don’t forget to wear long pants, sturdy shoes, and appropriate layers to keep you warm and dry. Make sure you bring your rain gear just in case - we will work rain or shine! Where: Look for the event on the northeast corner of N 85th St and Meridian Ave N.
What: Blackberry removal, spreading mulch and freeing trees! Where to park/how to get there: Near the bus stop for the 45, 355, and 994. There is street parking in the neighborhood where we are working, and Bishop Blanchet, the high school directly across the street, has generously opened their parking lot our volunteers, which can be accessed from 82nd Street. The school will also be hosting a sports event, so there may be limited spots. Please use the crosswalk at 85th and Wallingford to safely cross 85th Street. Trees for Seattle should be easy to spot - the group with hot coffee and lots of shovels! At the event, there will be coffee, water, light snacks, tools, gloves and instructions for everyone. Together we can improve our neighborhood greenspace! One year ago today, with a simple post highlighting the beauty of the Licton Springs park as spring came into view, my wife and I started Licton Spring's first community blog; LoveLicton.com. Since that time we've met so many wonderful neighbors and inspiring community groups. We've helped to host countless events, and joined all of you to fight for causes important for our neighborhood. We couldn't feel more lucky to be a part of this community and hope to continue to do our part to keep it a great place to live. We hope this is the first of many years!